The BSFA is pleased to announce the shortlisted nominees for the 2010 BSFA Awards. P.S. Voting details are here. Red Plenty is a novel! With fictional characters in it! I mean, I love it to bits, but it isn’t non-fiction. Farah beat me to it, although I suppose this does open the way for Red Plenty to be the first book ever shortlisted for both the BSFA non fiction award and the Clarke Award… that and the podcast (excellent as they both are) do make that category look slightly odd. Anyway, congratulations to all the nominees! Other thoughts: a strong novel shortlist (having read all but MacLeod), and a very good year for Gollancz. Slightly surprised, but not disappointed, by the absence of The Quantum Thief and Kraken. And great to see Nina Allan in the short fiction category. The Allan story was the absolute best thing I read this year. Not entirely surprised it’s on the shortlist. It’s probably bad form, but got to agree with Aliette on that. Wonderful piece of writing. Other thoughts: a strong novel shortlist (having read all but MacLeod), and a very good year for Gollancz. Orbit? But yes, that is a strong shortlist. Er, yes, Orbit, well spotted. That’s a proper brain/fingers malfunction, isn’t it? A very interesting novel short list. Pleased and surprised. Red Plenty can’t just be described as fiction, though – it would take a brave person to insist on the ratio of fiction: non fiction in it. I am happy to see it on list it is on but would be equally happy to see it on Clarke. 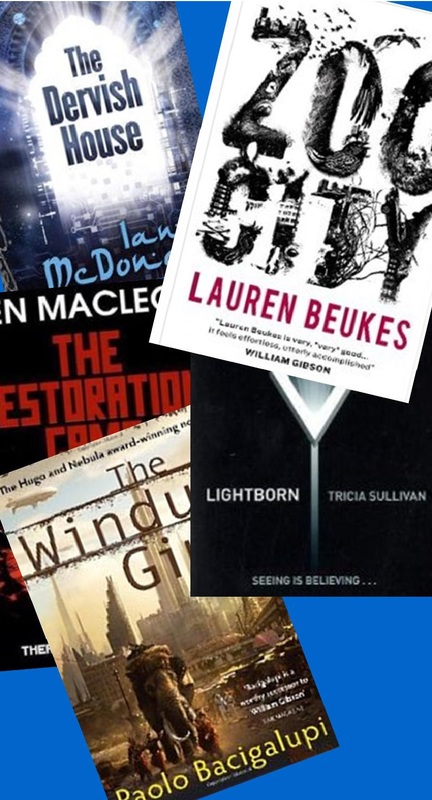 Very pleased Lightborn is on list; but also Ken Macleod – I think his three near-future novels have to be seen as a sustained triumph. For the second year in a row, off to Hampshire Libraries I go…though they don’t have copies of The Windup Girl or Zoo City! And Mark Harding has put “Arrhythmia” online at the Mutation Press website, too. Congratulations to everyone who has made the shortlist. I must say, I have been impressed by the broad mix of work that has been nominated. This has resulted in a shortlist that I am going to very much enjoy working through. I’ve already had a couple of people contact me about the shortlist results, concerned about the parameters for inclusion in some of the categories: should the lists be comprised of UK-published works only, as with the novel category? And how come Red Plenty is in the Best Non-Fiction shortlist? What I do think is quite wonderful about the way the BSFA Awards are set up is that the criteria are quite unrestrictive. We say – it’s up to you… what do you like? And we go with what’s most popular amongst our membership in the end. This year, I was not surprised to see Paolo Bacigalupi on the shortlist – not because I’d read it – I haven’t. It’s just I knew that you lot have had a year to discuss his brilliance since you tried to get him on last year’s shortlist. I do make it a bit of a point of mine to never try to influence people in what they should be voting for. Like they’d listen to little old me, anyway. That said, what I do think is quite life-reaffirming is that we have two female Best Novel shortlistees. The art section is a bit girl-free, but we are getting better at noticing women in SF. Good times! As for that Non-fiction nomination for Red Plenty? Well, Francis Spufford is renowned for his non-fiction and with this series of vignettes he certainly does seem to blur the boundaries between what is historical fact and fiction. To my mind, this category offers the most texture out of all our categories because of the different ways we are now accessing our discussion. Last year, a magazine column drew the popular vote, like all of a sudden, a vast swathe of people realized they were allowed to think of it as something that could be nominated for non-fiction. Beyond that, we have three blogs and a podcast nominated. No critical journals or printed articles, nothing really academic. Who knows, next year we may get on screen media, or a radio show, or a twitter-feed, or a live lecture or performance nominated. The possibilities are almost boundless format-wise. As for the content, I’ve taken on board the comments of those who feel that this nomination was misplaced, as it contained strongly fictional elements… though it does seem as though Spufford was playing with format and structure here as much as content. I suspect the nominators were inspired by it to think outside the box. No one nominated this as a novel, though I suspect that if they did, there may have been people arguing against it being in that category. But they didn’t, and it’s not as though anyone did anything silly, like nominate Gok Wan’s biography in this section (Simon Pegg’s would have counted, though…) So, I’ve gone with what the BSFA nominators have decided this is. Non-fiction. Ish. I look forward to reading it. I’ve tried to get some Beukes into library stock before, I’ll try again tomorrow. Have meant to try for the Windup Girl also, but haven’t managed to yet on account of it inconveniently came out at a busy time. I’ll try and let you know how I get on by commenting further here. Haven’t read much of the fiction shortlisted this year, I think, so it’ll take some catching up, but I shall give it the old college try anyway. Thanks, Nick. The Restoration Game is on its way to Aldershot as well. Easter is later this year, and I thought I could manage by then five novels as none of them (as last year) are seemingly over 150k words. If there had been an Ash or a Neal Stephenson behemoth on the shortlist I might have reconsidered! Is Zoo City independent of Moxyland? I haven’t yet read the latter, but I do have the copy which was an Eastercon freebie last year sitting in the pile. I believe Zoo City is independent of Moxyland, yes. I’ve had the Eastercon freebie near the front of my pile for a while now, but it keeps getting bumped back as other books jump the queue. I really should do something about that. Good news on The Windup Girl – this is now available in Hampshire. Nothing to do with me, it had already been ordered at some point, and it looks like the first copy actually came ‘live’ yesterday. As for Zoo City, I’m waiting to hear back about that one now. Thanks, Nick. I’ve put in a reservation now. 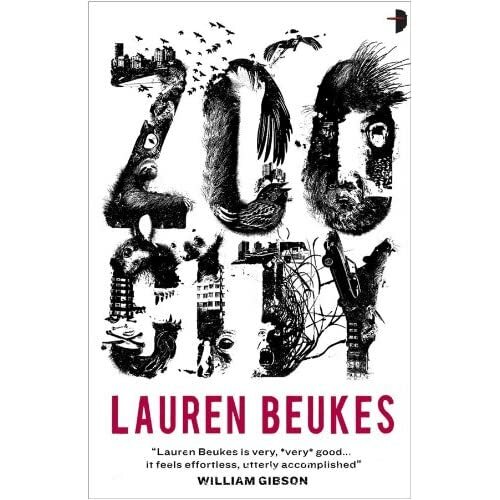 More good news; copies of ‘Zoo City’ are on order for Hampshire stock. You should be able to find it listed in the online catalogue now. Thanks, Nick. I’ve put my reservation in now! The first shortlistee to arrive is The Restoration Game, and I started reading it today.